Horizonte und Trends 2012, Anlass der Schweizer Personalvorsorge, Zürich, 5. Januar 2012.
in: Classification and Clustering in Business Cycle Analysis, Ed. Heilemann&Weihs, 2007, with Bernd Schips (g). 12. November 2002, Neue Zürcher Zeitung, NZZ 263 (g). KOF Monatsbericht, Konjunkturforschungsstelle der ETH Zürich, January 2002 (g). manuscript presented at the International Symposium on Forecasting, Pine Mountain USA, June 2001.
in: Economic Surveys and Data Analysis, CIRET Conference Proceedings, hosted by OECD, Paris, October 2000. 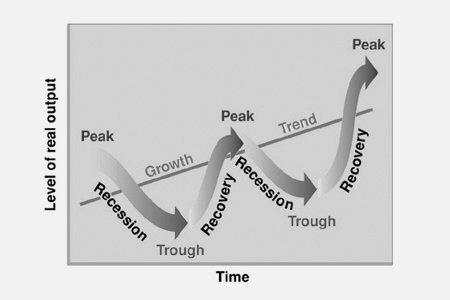 The Swiss Business Cycle, KOF/ETH-Working Paper, 1999. 1999, Ph.D. thesis University of St. Gallen (g). Business Cycle – monthly report of the Swiss Economic Institute (KOF/ETH), December 1997.